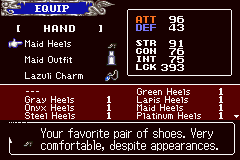 This is a spoof of Aria of Sorrow set after the Bad Ending of Aria of Sorrow (defeat Graham without the required souls). 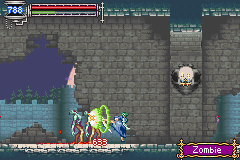 You take control of Persephone, who is being aided by Carmilla and Olrox to bring about the revival of Dracula. 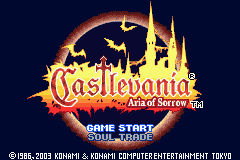 The story is original, while sticking with Castlevania canon. There are plenty of Easter Eggs to go around. 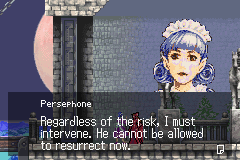 Persephone has her own unique attacks, as well as pros and cons. The ending soul requirements have been changed to suit her, so pay attention to dialogue. Look EVERYWHERE. Not all souls are where you think they would be. There are two patches in the folder. 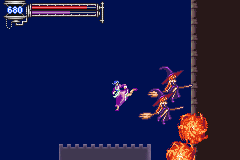 The first is the purple dress Persephone from Aria of Sorrow, while the other is the blue dress wearing one from Portrait of Ruin. They can share the same save file since it is the exact same game. Pick a favorite and enjoy!